Following RMT2012 and RMT2013 the RMT2015 will be the 3rd in its series. RMT2012 looked at neural networks, brain memory, biological developments, disorder systems. 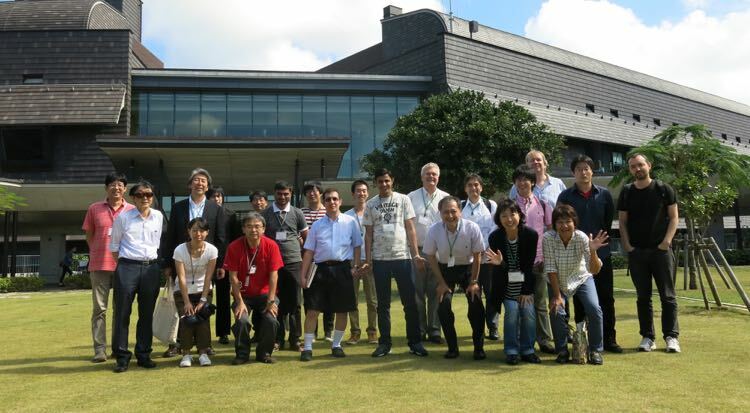 Topics of RMT2013 were supersymmetric Yang-Mills theory, solvable models, conformal field theory. RMT2015 will fill the gap between these two previous workshop, focusing on the fundamental mathematical theory. The un-orientable Riemann surfaces will be one of the workshop's topics. This fundamental mathematical theory has great importance for the application to biology, for instance secondary RNA structure. We will have 35 participants including 8 lecturers. Students and post-docs are encouraged for participations. All participants are invited only for the reason of the limited space. Please apply online by filling in the webform on the "Application" page for selections. The invited participants are fully supported for the traffic transfer, accommodations and meals. ☆There will be short talks or poster representations. Applicants those who want to present are encouraged to send the title and the abstract through webform.